Dose 6 Months to 12 Months 0.5 ml 2 to 3 times a day. 1 Year to 1.5 Years 0.75 ml 2 to 3 times a day. Terbutaline Sulphate IP 0.25 mg.
Allergic Cough following URTI, Asthma, Smoker’s Cough, Tuberculosis, Common Cold, Allergic Pharyngitis, Laryngitis Sinusitis. Ideal for Productive Cough of various origin. Cholecalciferol (Vitamin D3) 400 i.u. Vitamin D3 is Fat soluble Vitamin that helps body to absorb Calcium & Phosphorous. 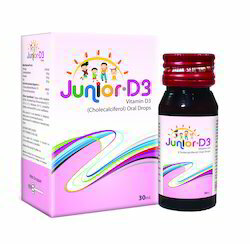 Right amount of Vitamin D3 is essential to build strong Bones, especially in growing children. It prevents Bone disorders like Rckets in children. Increases Calcium & Phosphorous absorption in the intestine. Builds & maintain Bone Structure. 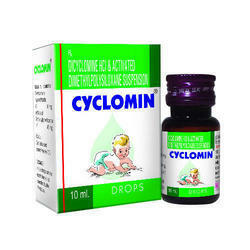 We are engaged in offering our clients a high quality range of Dicyclomine HCL & Simethicone Anti Spasmodic Cyclomin Drops. This suspension is demanded in the market due to its precise composition. The offered suspension is processed at par with medical standards utilizing best grade ingredients& advance methodology. We offer this suspension in quality packing for maintaining its quality& delivered within a promised time. 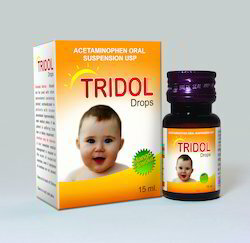 Anti-spasmodic Drops for colic pain in Children. G.I.Spasm, Hyper peristalsis. Common Cold, Seasonal & Allergic Rhinitis, Nasal Congestion, Sinusitis, Hey fever, Headache due to common cold. This is a Unique Herbal-Ayurvedic Patent Medicine, containing useful Herbal Extracts of the recognized Herbs being used to treat Jaundice & Hepatitis. 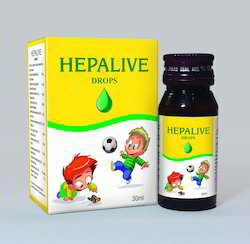 Hepatitis, Sluggish Liver, Anorexia, Jaundice, Loss of Appetite, Restricted Growth, Alcoholic Liver disorder, Drug induced Hepeto-toxicity and as adjuvant therapy in Hepatitis B. 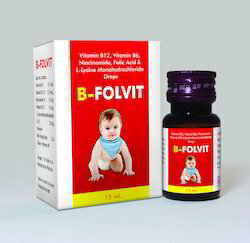 We have gained recognition as an eminent enterprise, devotedly engaged in offering a broad range of Colic Pain Reliever Carminative Infant Drop. 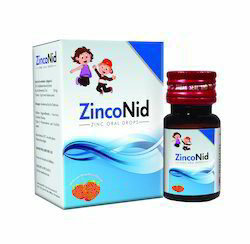 Our offered infant drop is tested in terms of quality before supplying at customer’s end. This infant drop is processed from the best grade ingredients under the direction of experts in conformity with the set standards. 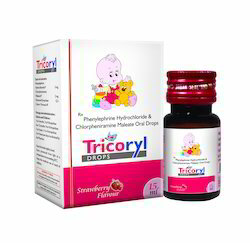 Our customers can avail this infant drop from us at competitive rates in air tight packaging. Dill Oil B.P. 0.005 ml. 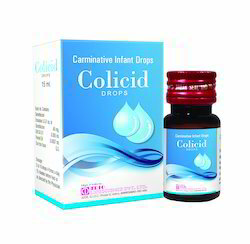 Therapeutic Uses : Carminative Infant Drops for Colic pain. Unique Features : Delicious taste. Packing Unit : 15ml Pet Ambar Bottle with a Dropper in a Carton. 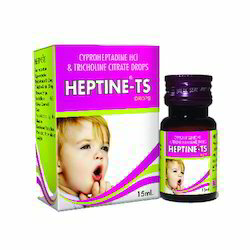 We are the trustworthy organization devotedly engaged in offering an effective range of Cyproheptadine HCl & Tricholine Citrate Drop. Our offered drop is tested in terms of quality before supplying at customer’s end. This drop is processed from the best grade ingredients under the direction of experts in conformity with the set standards. Our customers can avail this drop from us at competitive rates in air tight packaging. Cyproheptadine Hydrochloride I.P. 1.5 mg.
Flavoured Syrupy Sorbitol base Q.S. Loss of appetite, Restricted growth, Liver dis-orders, Loss of appetite after prolonged illness, Atonic constipation. SORBITOL based Product , and hence its taste is delicious and pleasant. 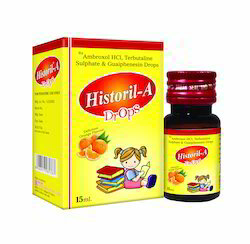 Diastase IP (1: 1200) ………………20 mg.
Cinnamon Oil B.P. ……………….200 mcg. Caraway Oil B.P. …………………400 mcg. 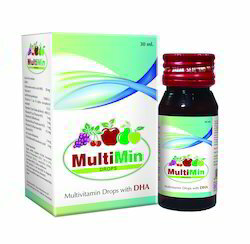 Indigestion, Loss of appetite, Flatulence, dyspepsia, Gastric discomfort, Colic Pain. 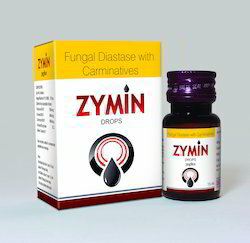 Fungal Diastase & Carminative Oils permitted under DRUG and it is quite different from the Products classified under FOOD. SUGAR FREE Sorbitol based delicious tasty Preparation. With our vast domain expertise, we are offering high quality Paracetamol Drop. The offered paracetamol drop is processed under the supervision of pharmaceutical experts using safe ingredients in compliance with medical standards. This paracetamol drop is valued in the market for its quick effectiveness. We assure our customers that offered paracetamol drop is severely tested from our end for ensuring its usage. Vitamin B12 I.P. 2.5mcg. Niacinamide I.P. 15mg. Stomatitis in Mouth lips & on Tongue. Therapeutic dose of Folic Acid & Vitamin B12 permitted under DRUG and it is quite different from the Products classified under FOOD. Crystal Clear SUGAR FREE Sorbitol based delicious tasty Preparation. Insomnia, Teething & Fretfulness, Recurrent colic with persistent Crying, Excitability & Restlessness, difficult feeding, convulsions etc. eq. 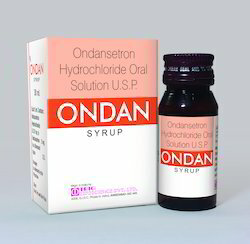 to Ondansetron 2 mg.
in a flavoured base Q.S. Nausea Vomiting. Prophylaxis Prevention of post operative nausea vomiting. Measuring Dropper is provided so accurate dose can be given as directed by the Physician. 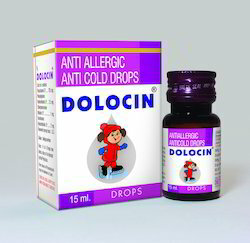 Common Cold, Seasonal Allergic Rhinitis, Nasal Congestion, Sinusitis, Hey fever, Headache due to common cold. Looking for Pediatric Drops ?